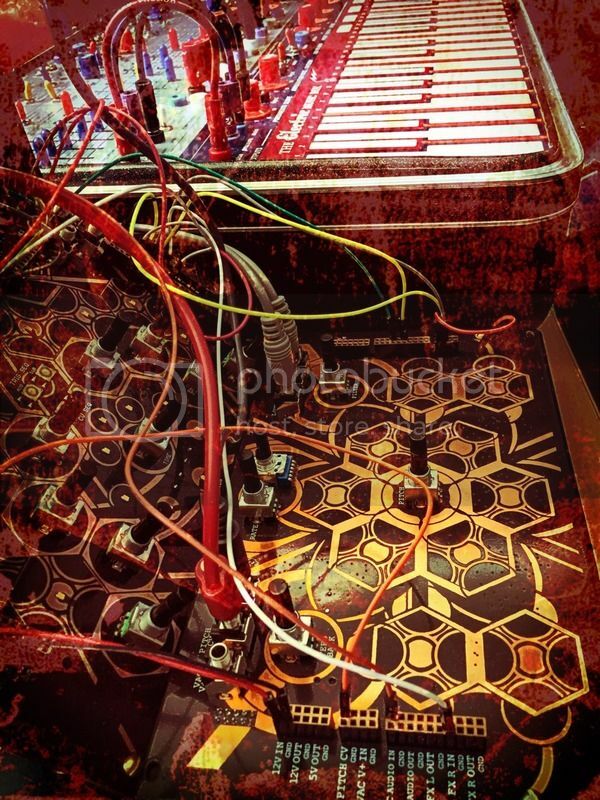 Created using the Folktek Mescaline and Buchla Music Easel. Edited from a studio performance. Damn, those patchcords! Loving this. crazy man. The sound is superior. tip top. Relaxing and mellow at times. Wow. very impressive. That pop-click is used very cleverly. The Buchla sounds wild and mysterious as always! Thanks dude. The pop click stuff is coming from the Mescaline and the Buchla is doing the drones and dreamy melodies. [quote=Jim Wood]Damn, those patchcords! Loving this. [/quote] Thanks Jim! And I had the wrong picture....whoops. Epic modular tower replaced with correct boutique esoterica. 8-) [quote=license]Yes, this is nice. [/quote] Thanking you. :) [quote=Q-Rosh]crazy man. The sound is superior. tip top. [/quote] Awesome. Cheers! [quote=Devieus]Relaxing and mellow at times. [/quote] Thanks! [quote=orangedrink]Wow. very impressive. That pop-click is used very cleverly. The Buchla sounds wild and mysterious as always! [/quote] Thanks dude. The pop click stuff is coming from the Mescaline and the Buchla is doing the drones and dreamy melodies. YESYESYES. Great track mang, the click-pop beat really added a lot dimension to the sound for me. Fantastic tones as always.